President Donald Trump declared a national emergency on Friday to enable him to tap funds to build a border wall. Trump announced his emergency declaration in a Rose Garden ceremony, report the New York Times, Politico, the Wall Street Journal and the Washington Post. Trump said the declaration will help fight a criminal invasion that is causing a national security crisis. “We’re talking about an invasion of our country with drugs, with human traffickers, with all types of criminals and gangs,” he said. Acting White House chief of staff Mick Mulvaney told reporters that Trump plans to combine about $6.7 billion in diverted funds with $1.375 billion in funds allocated by Congress in a budget bill passed Thursday evening. Trump wants to use the money to build a barrier wall that covers at least 234 miles. Trump will rely on his emergency declaration to tap $3.6 billion in funds for military construction. The president also plans to rely on traditional budgetary discretion to use $2.5 million in drug-fighting funds and $600 million in a Treasury Department asset forfeiture fund. Disaster-assistance funds will not be used. The money allocated by Congress restricts areas where a barrier can be built, the Wall Street Journal reports. Areas that are ruled out include federal areas such as the Santa Ana National Wildlife Refuge and National Butterfly Center. A senior administration official told the publication that the White House believes the restrictions apply only to the money appropriated by Congress. The National Emergencies Act of 1976 regulates how presidents can exercise emergency powers that are given to them in hundreds of specific statutes, including statutes governing military funding. The law doesn’t define an emergency. It authorizes Congress to vote to repeal an emergency, but under a U.S. Supreme Court decision the president must sign the resolution into law or veto it. Litigation would likely focus on whether there is truly an emergency or whether the president is using his executive power to bypass the legislative process, experts told the ABA Journal. Trump acknowledged the likelihood of suits in his Rose Garden speech. “Hopefully we’ll get a fair shake” in the Supreme Court, he said. Democrats and several public-interest groups criticized Trump’s use of emergency powers for a border wall. “The Congress will defend our constitutional authorities in the Congress, in the courts, and in the public, using every remedy available,” Pelosi and Schumer said. Another lawmaker, Democratic U.S. Rep. Joaquin Castro of Texas, said late Thursday he would be ready to introduce a joint resolution to end the declared emergency, the New York Times reports. Castro leads the Congressional Hispanic Caucus. 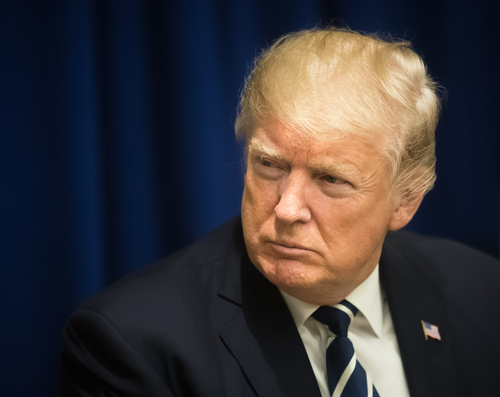 Groups condemning Trump’s emergency declaration include the NAACP Legal Defense and Educational Fund, the Democratic Attorneys General Association, Muslim Advocates, Immigration Hub, the American Civil Liberties Union and Common Cause.